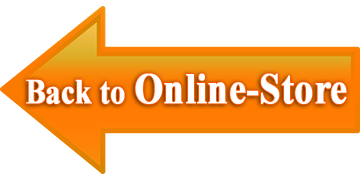 Please, contact us for more informations! 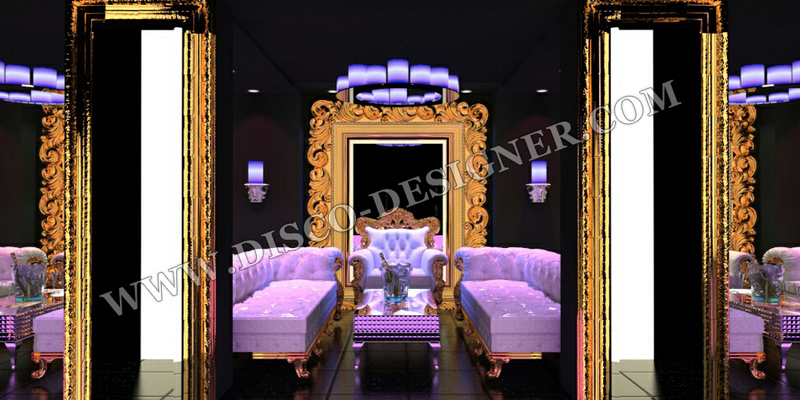 Beautifully designed custom made VIP area with furniture, lighting and decorations suitable for your needs or preferred style. 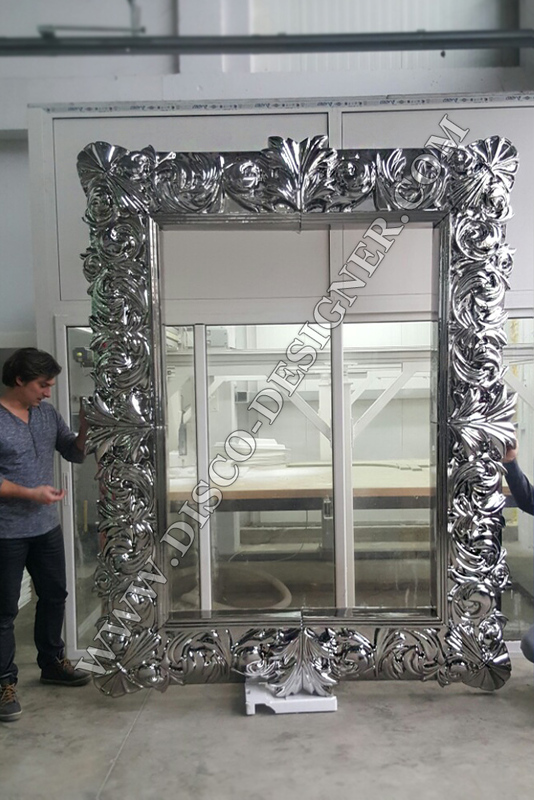 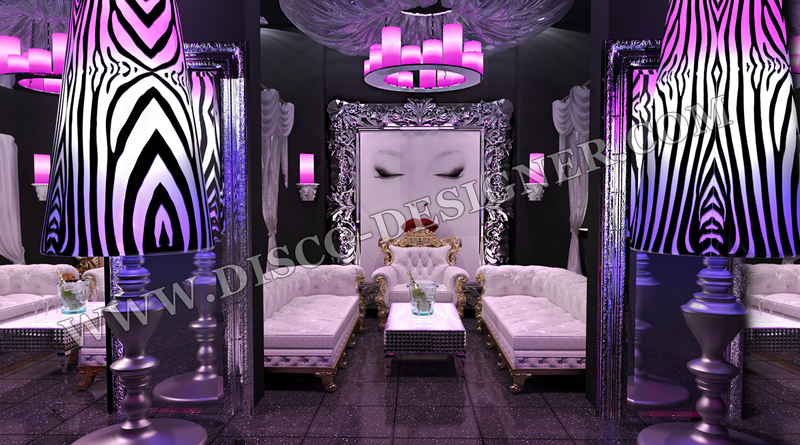 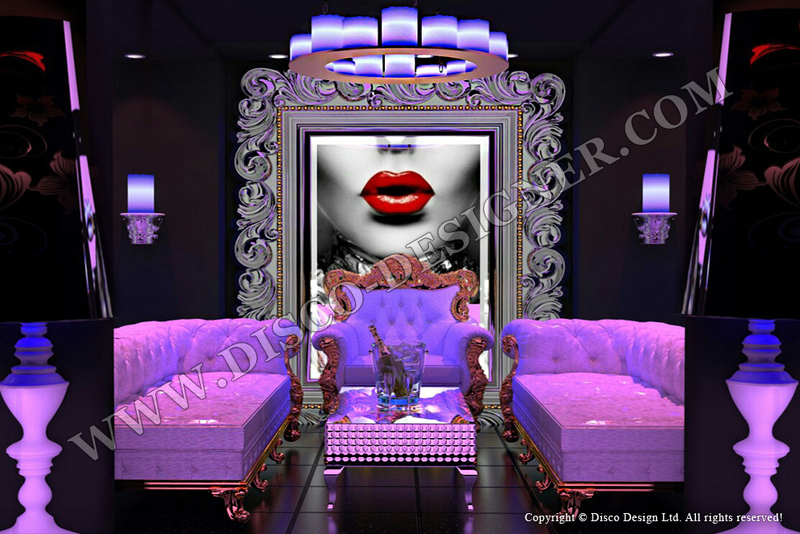 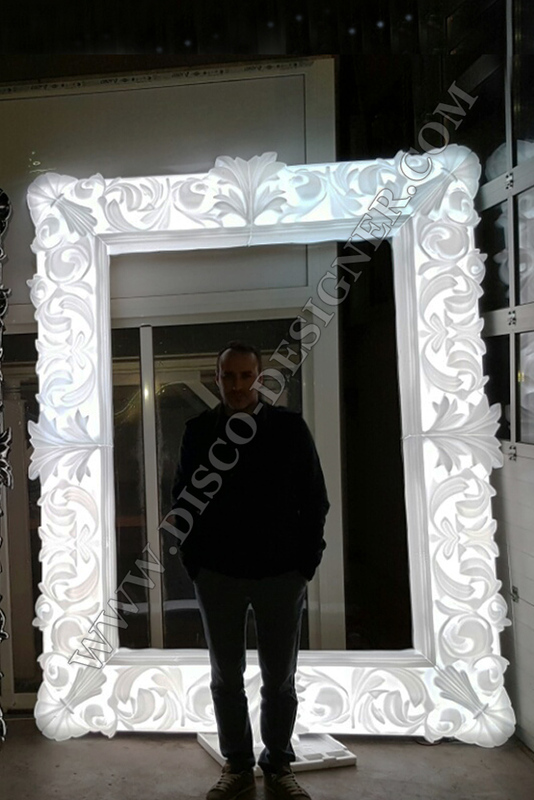 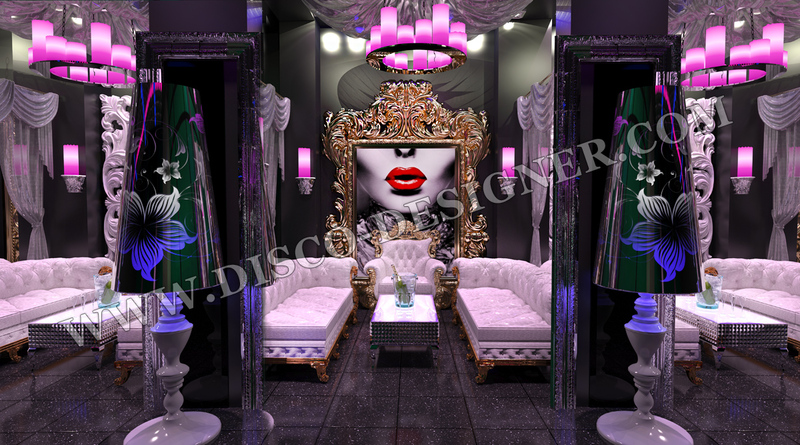 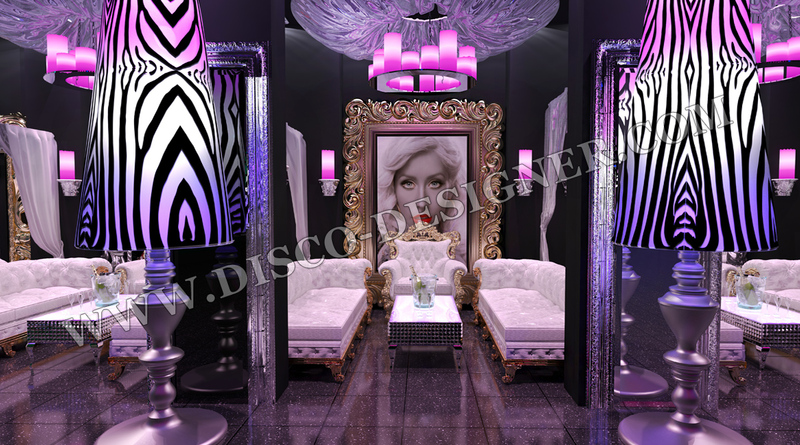 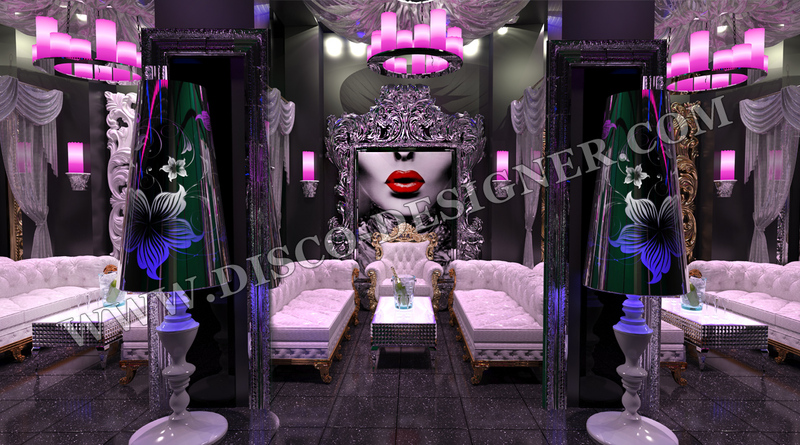 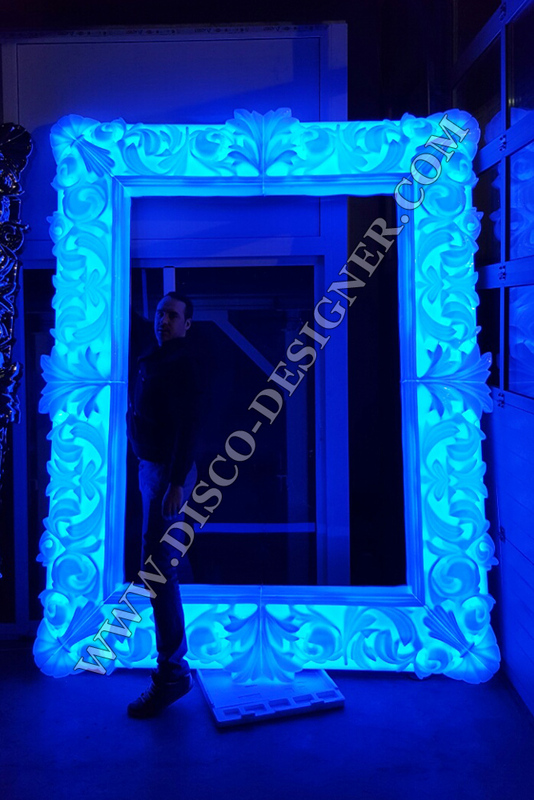 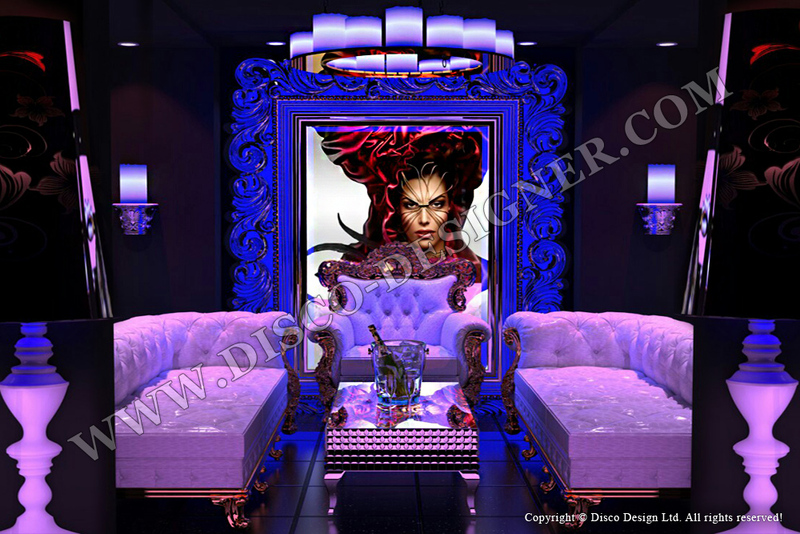 Including: custom size baroque ornamental frames in different styles/finishes - mirrored/white/golden (with mirror or printed pictures inside), baroque sofas and chairs with mirror or gold color elements, LED candle chandeliers, LED baroque ornamental lamps, LED disco tables and variable color sequins curtains. 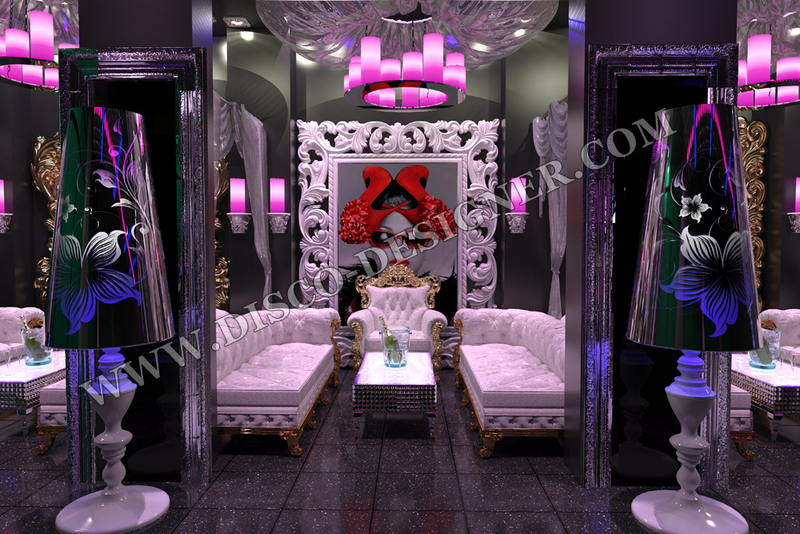 All LED products are DMX controllable, 16 million colors, proprietary lighting control software.